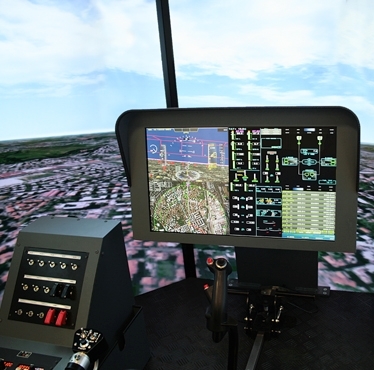 At the Farnborough International Air Show 2014, Finmeccanica – Selex ES will introduce a latest-generation cockpit equipped with a new panoramic display designed to meet civil and military customers’ growing requirements for “Flight Situation Awareness” for fixed and rotary wing platforms. Finmeccanica – Selex ES’s subsidiary company Sirio Panel, a leading manufacturer of control panels, lighting systems and cockpit human-machine interface (Human Machine Interface) for civil and military platforms, is involved in the project providing a new multi-touch panoramic display for ease of use and operational flexibility. The system integrates flight information with 2D and 3D maps and with data from a wide range of sensors and databases in order to display an accurate and reliable virtual view to the pilot.